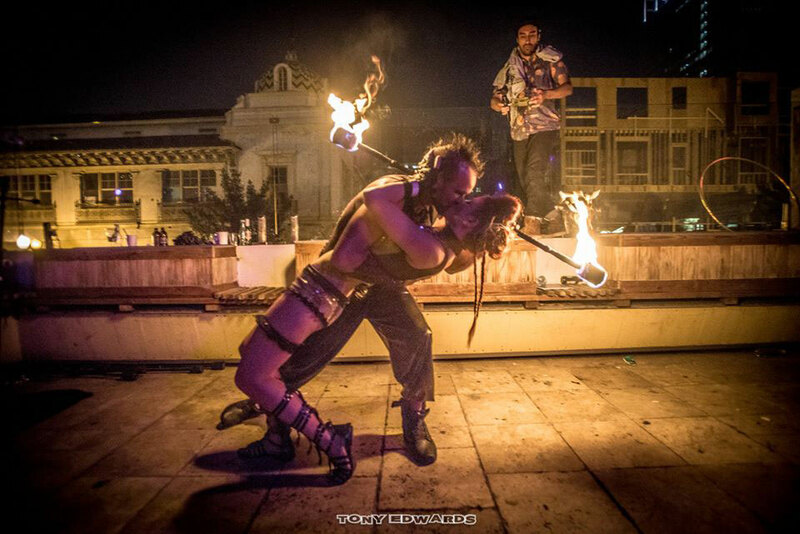 Love in the Fire is a world renowned fire dancing duet fusing their dance backgrounds into jaw dropping, high energy fire entertainment. They perform for corporate events, night clubs, private parties, red carpet events, celebrity gatherings, international resorts, and so much more. Not only do they offer fire performances but also have the latest technology in blacklight, LED, and programmable pixel poi. They are based out of Los Angeles and are regularly performing in New York, Chicago, Florida, Santa Barbara, Dallas, Seattle, San Francisco, Atlanta, Miami, San Diego, Portland, Las Vegas, Lake Tahoe, and any where in the world that excitement is needed. To hire Lester and Samantha for their fire dance duet please view their website at www.loveinthefire.com or email info@loveinthefire.com. Sign up and get 10% off your next order directly to your inbox! Copyright © 2019 Fire Groove Gear. All rights reserved.